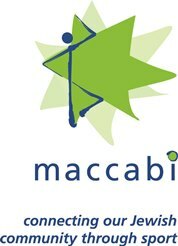 Nominations are being called for the Maccabi Outstanding Awards for achievements in the 2018 Calendar year as well as the 2019 Rudi Roth and Nachum Buch Scholarships. Nominations close on 30 November, 2018. Junior Awards – to be eligible for a Junior award, the individual must be competing as a junior as defined by the sporting body/event and/or be 18 and under at the time of the achievement. Masters Awards– to be eligible for a Masters award, the individual must be competing as a master as defined by that sporting body/event or be 50 or over at the time of achievement. All Abilities Award - the All Abilities award is open to individuals of any age and disability. Rudi Roth Scholarship - an athlete striving to achieve elite status as an Australian. This athlete must embrace and embody the Maccabi values. Nacum Buch Scholarship - a swimmer striving to achieve elite status as an Australian. This athlete must embrace and embody the Maccabi values. Tell us about the nominee, both personally and as it relates to this nomination. Please note that excerpts from this background will be used in communications, so please ensure information is precise and accurate. The Rudi Roth Maccabi Australia Scholarship Fund was established by the late Rudi Roth to provide opportunities and support for Australian Jewish athletes seeking to achieve at an elite level in their chosen sport. As a youngster who overcame rickets to become a top class squash player, Rudi has established this fund together with Maccabi Australia in order to promote Jewish sportsmen and women and help them achieve their sporting dreams and goals. The Nachum Buch Maccabi Australia Scholarship Fund has been established by the family of Nachum Buch to recognise his achievements and contribution as a stalwart of Jewish swimming for the best part of five decades. It seeks to support emerging swimmers to assist them on the path to achieving at an elite level. What are the Nominee's short, medium and long term sporting goals?